Among the many benefits to including fish oils in the diet is the fact that it helps reduce triglyceride levels. High triglyceride levels are associated with health conditions such as coronary artery disease and diabetes. One of the reasons fish oil is healthy is the fact that it contains omega-3 fatty acids. While you can take capsules that have this substance in it, you can also get it from eating certain types of fresh fish. Since fish is generally low in both calories and fat, it can be a great meal choice if you are looking to lose weight. Substituting it for red meat is a very good way to change your diet for the better while reducing the amount of calories you are eating. So what types of fish are good picks for including in a healthy diet? The American Heart Association names mackerel, lake trout, albacore tuna, sardines, herring and salmon among the best sources of omega-3 fatty acids. For the healthiest meal, prepare the fish by broiling it instead of frying, and add some steamed vegetables. Experiment with some of the fish listed here and see which are your favorites, and don’t forget that using herbs and spices are a great way to bring out the flavor without adding extra calories to your plate. 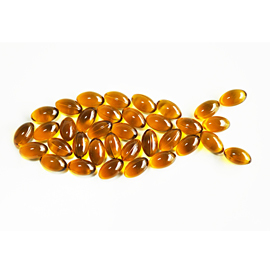 If you are not a fish fan, or wish to get a higher concentration of fish oils into your diet, you can also try high quality fish oil capsules. Make sure you look for a medical grade product to ensure you are not ingesting mercury from poorly purified oils.